Football fans across the country were looking forward to the England v Netherlands 1994 World Cup Qualifier to played that evening with Paul Gascoigne’s due to earn his 25th Cap. 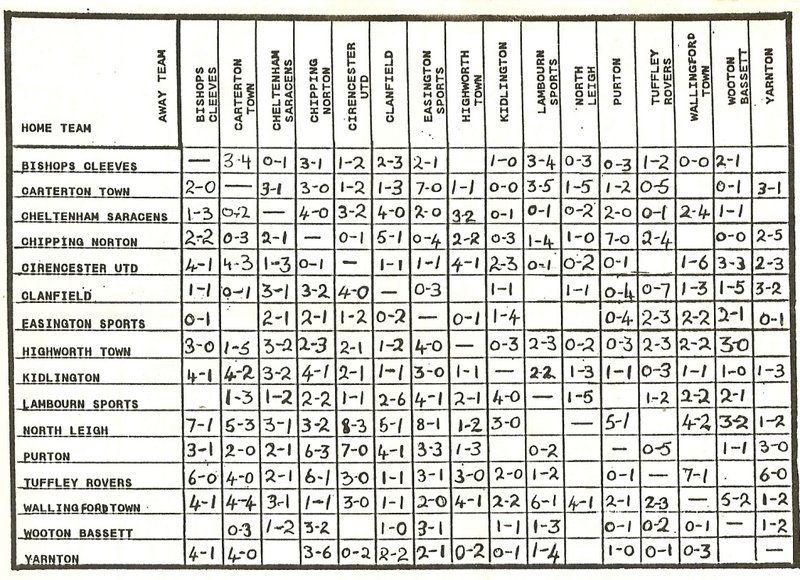 (The game finished 2-2 with John Barnes scoring after 2 minutes). 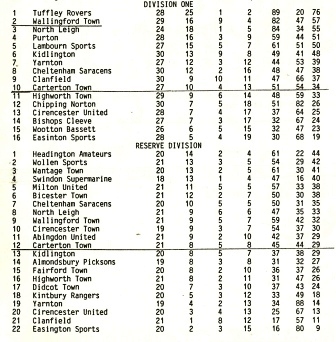 This was Wallingford Town FC’s last game of the 1992/93 season and they beat Carterton 2-0 with Goal-Machine Steve Wood scoring both. 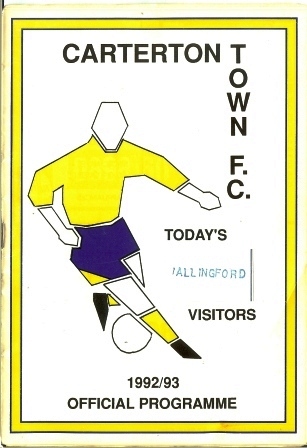 News & Views No.34 19th April 1993 reported that this fixture was due to be played on Sat 10th April but was postponed. Wallingford Town FC Reserves had beaten Wollen Sports Reserves 3-1 at home on Sat 10th April in the 2nd Round of the Reserve Cup.